1. 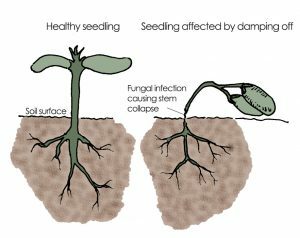 A disease of seeds or young seedlings caused by fungi. This is a comparison of a healthy seedling and a seedling affected by damping off. This is what a field looks like resulting from damping off. This page was last edited on 18 July 2017, at 12:39.